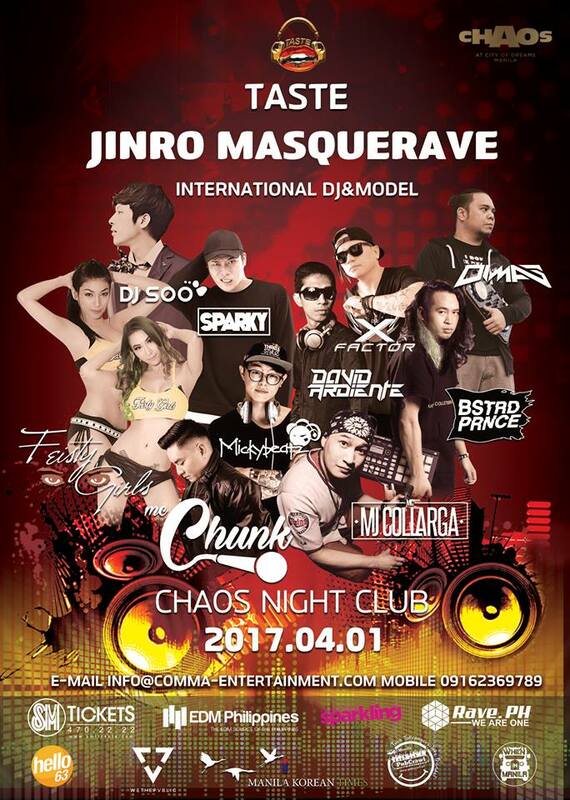 HiteJinro, Korea's #1 liquor brand, holds a masquerade party dubbed as Taste Jinro Masquerave at Chaos Night Club in City Of Dreams Hotel in Manila on April 1, 2017 (Saturday) at 10pm-5am. Fool yourself under the mask to celebrate April fool’s date. HiteJinro will have Song Joong-Ki as the main model of the event. She is the main actor of Descendants of the Sun. One of the representative brand of HiteJinro is Soju, which has been distributed over 30 years in Philippines, and can be found in many restaurants, clubs and bars. Jinro is a premium Soju (World #1 selling Soju). As the event title suggests, “Taste Jinro MasqueRave,” so it will be more meaningful because visitors can try these leading products at promotional price. Sponsored gifts are 150,000 PHP worth in total to be given away to visitors (including free mask as part of the theme). Contact Comma Entertainment for ticket purchase or VIP table inquiry.